Every time you browse the web, information is being collected about your activities, such as what you view, read, and buy; where you’re geographically located; and what you type. Advertisers and websites use it to determine information about you such as your likely net worth, religious and political views, and interests, and then target you with ads based on this data. However, this kind of data is also being used to make aggregate decisions about you, such as insurance rates, credit scores, online shopping prices, and hireability. 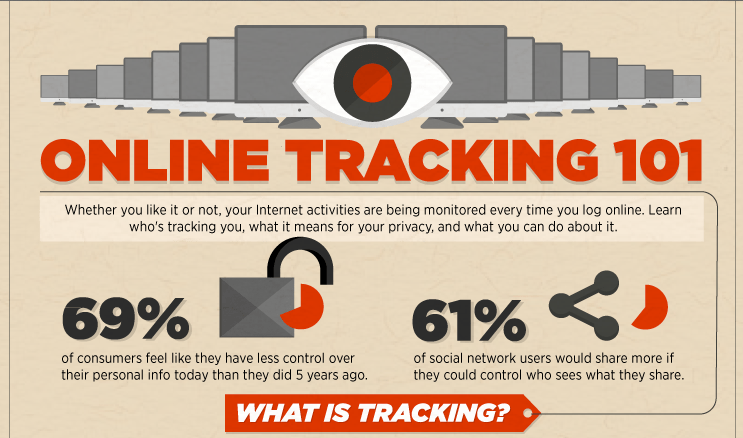 This online tracking, consumer profiling, and data collection happens almost everywhere you go online. 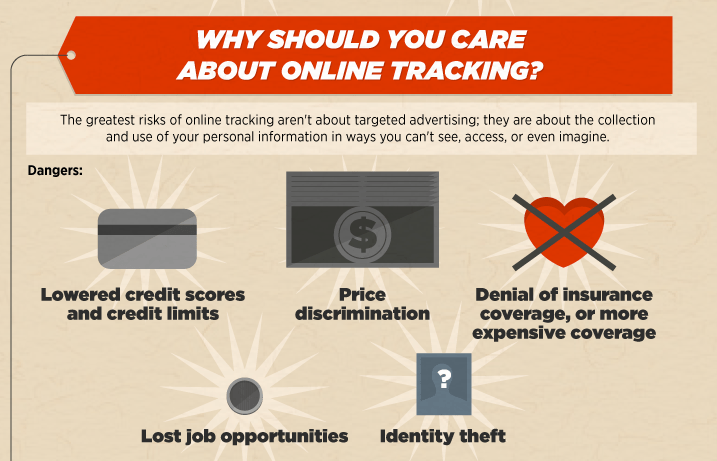 We teamed up with Check Point, the makers of ZoneAlarm security products, to make an infographic that simply and easily explains online tracking: what it is, who’s behind it, what information they collect, why you should care, and 6 tips you can do today to protect your online privacy. We also partnered with Check Point to bring Do Not Track to users of the 2013 release of their award-winning ZoneAlarm security tools, a feature powered by DoNotTrackMe. Now millions of ZoneAlarm users have a simple, free, and effective way to block online tracking and control data collection as they browse the web. We’re on the side of consumers, helping them get the control they want over their personal information while still being able to use the web they love. We give people strong privacy protections that anyone—regardless of tech-savvy—can understand, and that includes education as well as software. I would like to know information on how it works. On how what works? We’re happy to provide more info; we just aren’t sure what you mean! Thanks. Yeah, we actually have a new version with the correct logo that we’re switching in soon. Very entertaining. A security company that promotes it’s “protect your email address” addon and yet asks here for my email address. WTH? Looking forward to seeing your reply. We only have that field to fight the enormous amount of spam comments trying to make their way onto our blog each day. I’m going to update the comment field to encourage people to use a fake email address. It’s all about spam protection, not getting your contact info.